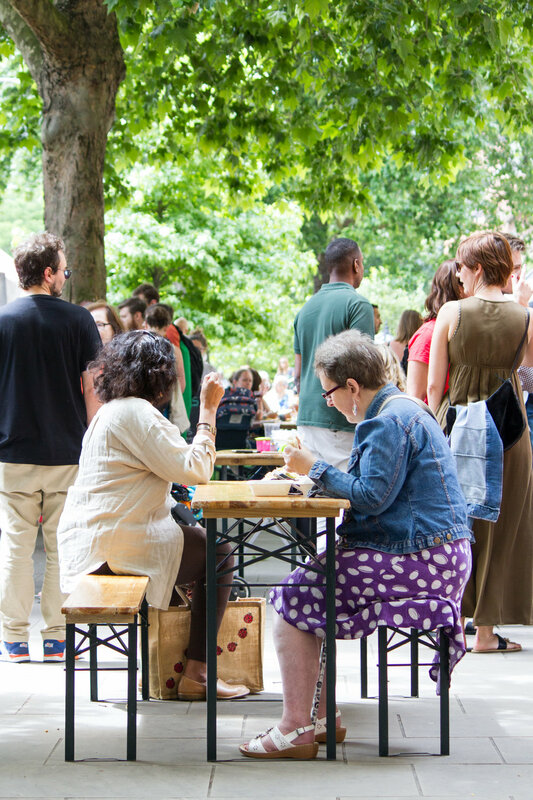 The cheese-filled event is returning and will be held at the iconic Battersea Power Station on 11th & 12th May, spreading cheesy-goodness across 2 brie-lliant days for a special We Love Cheese weekender! We’re excited to be bringing the diverse world of cheese to this exciting riverside neighbourhood at the foot of the Power Station, as it's set to be the biggest We Love Cheese yet. Join us for a wonderful weekend of all things cheese related, celebrating both local and global cheese, flavoursome cheese board accompaniments, drinks to pair and, for the first time, featuring a wine section with Vagabond Wines. We Love Cheese promises to deliver a cheese-loaded, fun, family friendly weekend south of the river. We are excited to announce two additional festivals to our jam-packed season this summer. Brand new this year is 'The Ends', an exciting music and food festival coming to Croydon. The weekender will take place inside south London's Lloyd Park, inviting thousands of music lovers each day to revel in its line-up that includes hip-hop, reggae and more. 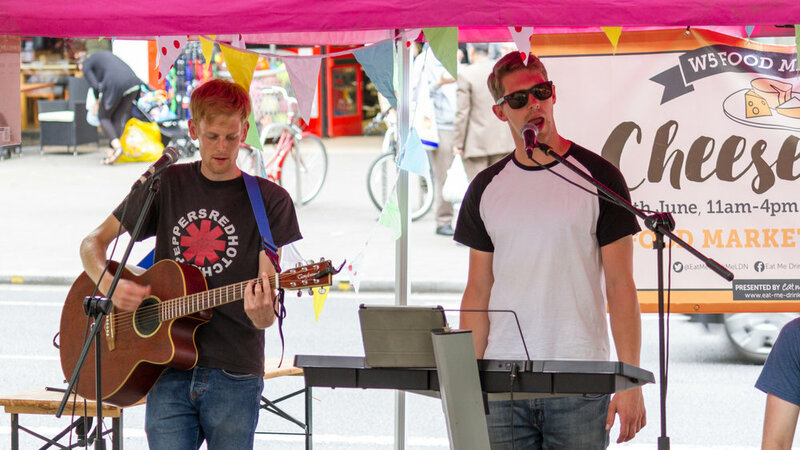 Organised in partnership with Metropolis Music, The Ends Festival promises to combine music and food into an exhilarating weekend in the heart of the borough. What we are looking for: food, coffee and soft drinks. No bars or retail. Join us in the Creamfield's Hospitality area. An area where Gold campers can come and relax, dance, drink, eat and shop away from the arena crowds. What we are looking for: street food, coffee, boutique bars and retail. It’s safe to say we’ve been a little busy at EMDM HQ this year! We’ve travelled the country up and down to bring the very best craft, street food and produce traders to the UK’s best festivals; launched a new weekly market in South East London; made neon pink and yellow hi-vis the hottest fashion trend during the summer heatwave and doubled the size of our all-female team. There’s been long days, there’s been long nights but all is forgotten when you love what you do and Alexa plays ’Toto’s Africa’. We’ve pulled together just a few highlights from 2018… Here’s to an even more jam-packed 2019! Our weekly market in Dickens Yard has grown week on week and we have the lovely local community of Ealing to thank for! We’ve seen presenter Angelica Bell and resident school, Christ the Saviour turn on the amazing Christmas lights and welcomed incredible traders selling all sorts of wonderful goods from Japanese baked ‘pans’ to digital illustrations every Saturday. We were particularly honoured to support the national campaign, Small Business Saturday on 1st December! The iconic wooden cabins returned! It’s not Christmas in Ealing without them, is it? This year’s market welcomed another great line-up of independent businesses plus regular appearances by Santa and local choirs. 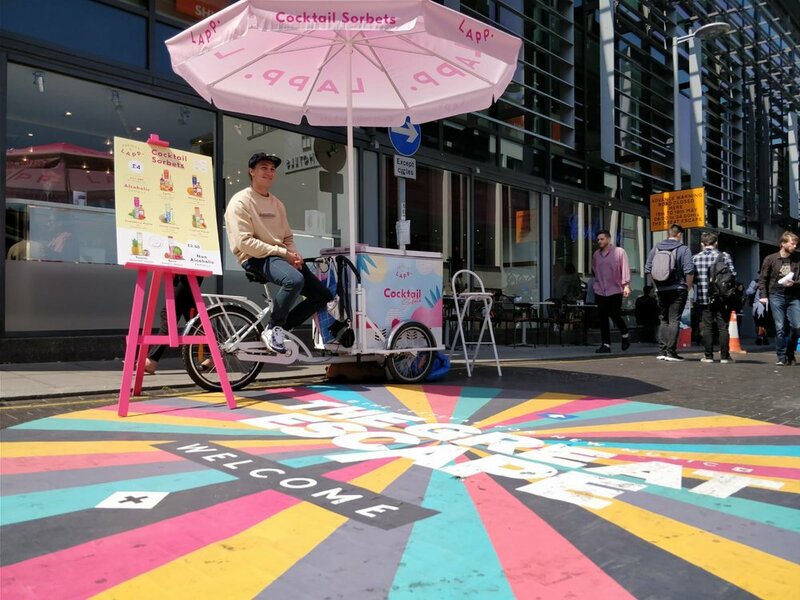 Launched in April, Deptford Bites has welcomed some of London’s best street food vendors with the likes of Sub Cult, Krapow and Biff’s Jack Shack all trading at Deptford Market Yard. 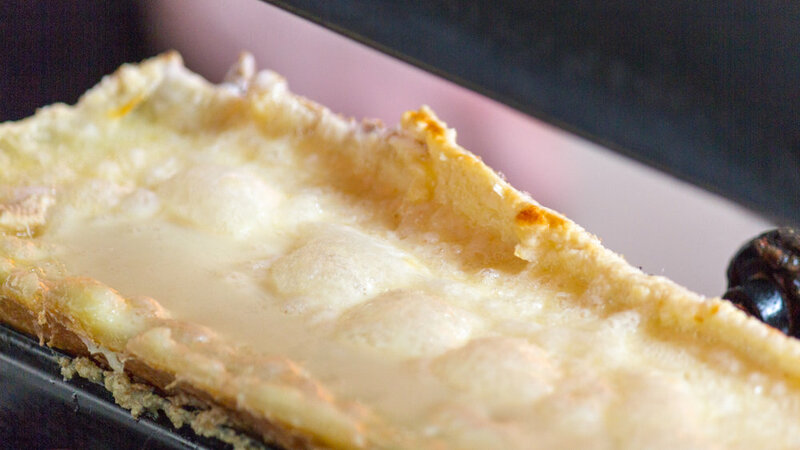 We’ve seen the market ‘trending’ thanks to mac and cheese waffle cones and creme brûlée crepes - did you try one? Curating specially selected traders for The Great Escape, Knebworth Winter Festival, Creamfields and Lytham amongst others, it’s been a whirlwind of great food and awesome craft. 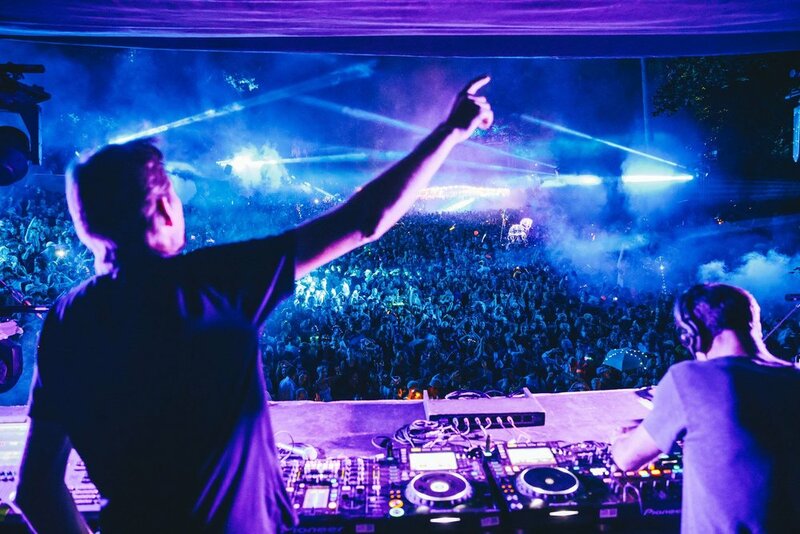 We even had the honour of working on Wilderness Festival this year for the first time, too! We Love Cheese! This was the return of the one-day sensation, with 30+ stalls dedicated to the cheesy comfort food. We even made it to see Britney herself, as we curated the street food for her ‘Piece Of Me tour’ – a 90s throwback the whole team got on board with. After Dark at Chiswick House has been another adventure for us this year, as we brought some of the best street food to West London for you all to feast on after an illuminated journey through the glorious grounds. Our retail baby, The Wonderland Collective popped up all over London this year and the response has been amazing. We can’t wait to see where this will go next year! We hope you’re just as excited as us for what 2019 will bring! So, from all of us, we wish you a very Merry Christmas, and a wonderful New Year! Do you want to join our team? We’re currently hiring, so check in here to see if there’s something for you! Another epic event to add to your calendar! We are excited to announce that Camp Bestival has been added to our exciting roster of events for 2019! 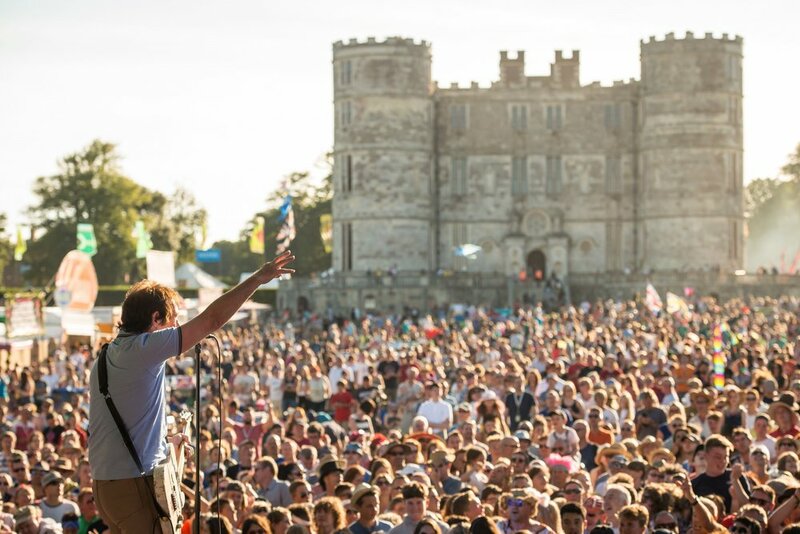 This multi-award winning festival has a uniquely wide demographic, appealing to many especially those with children looking for a magical weekend away. We require family-friendly retailers, street food, soft drink and coffee traders to get involved. Don't miss out on the opportunity to be part of this fantastic 'festi-holiday'. Applications are now live... what are you waiting for? Street food, soft drinks and artisan coffee: We are searching for the best family friendly menus, so if you think you can offer something new or traditional to Camp Bestival's tasty line up, APPLY HERE. Retailers: There are opportunities for festival retailers from a variety of categories to showcase their gorgeous products to Camp Bestival's all encompassing guests. So if you sell creative and unique products suitable for all ages, APPLY HERE. Get ready... Wilderness applications are open! This thoroughly enchanting festival demands the highest quality traders possible, showcasing the best of what the UK street food scene has to offer. If you think you have what it takes, we want to hear from you. 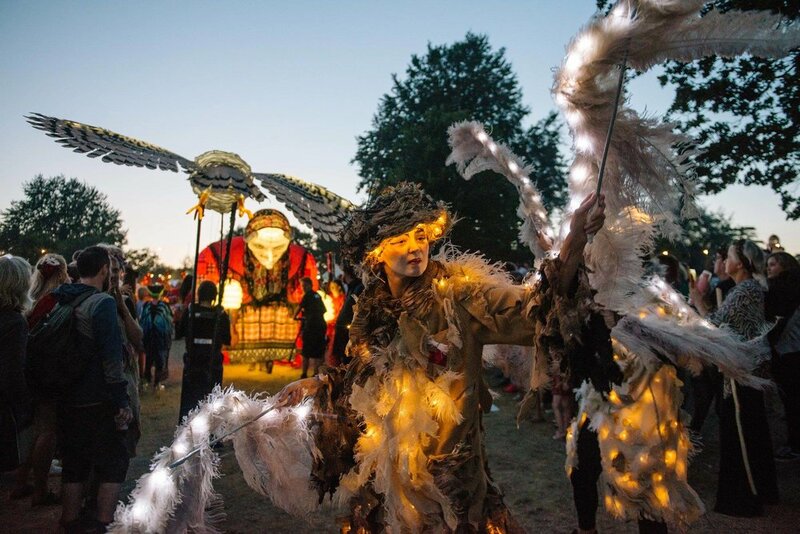 Come and join us for the 9th season of Wilderness Festival! Wilderness is a critically acclaimed 4-day festival celebrating musical performance, the arts and a myriad of cosmopolitan cuisine. Attracting up to 30,000 discerning food lovers who expect nothing but the best. We are looking for contemporary twists on classics, creative menus & delicious drinks. Google Digital Garage offering face-to-face digital skills coaching to small businesses and market traders is stopping at Deptford Market Yard on Saturday 1st December to coincide with Small Business Saturday. 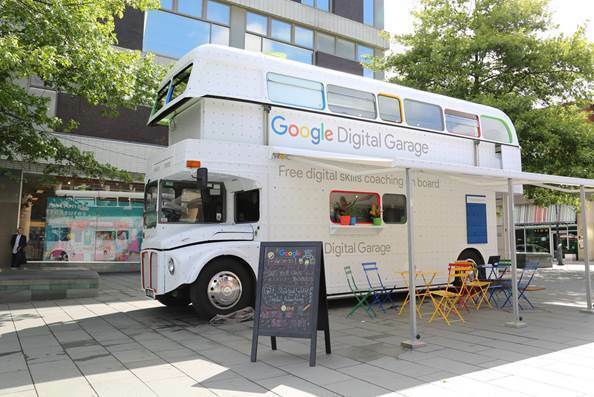 Coinciding with Small Business Saturday, Google Digital Garage - the converted double decker that has trained over 300,000 people and visited over 250 locations across the UK is stopping at Deptford Market Yard this Saturday. From 8.30am-4pm, small businesses and market traders can come and learn how to harness the power of the internet to grow their business, learn more about the internet, or develop new vocational skills. On the 1st of December, your local Ealing Artisan market will be supporting the national campaign, Small Business Saturday, with a whole host of small independents for you to shop from. 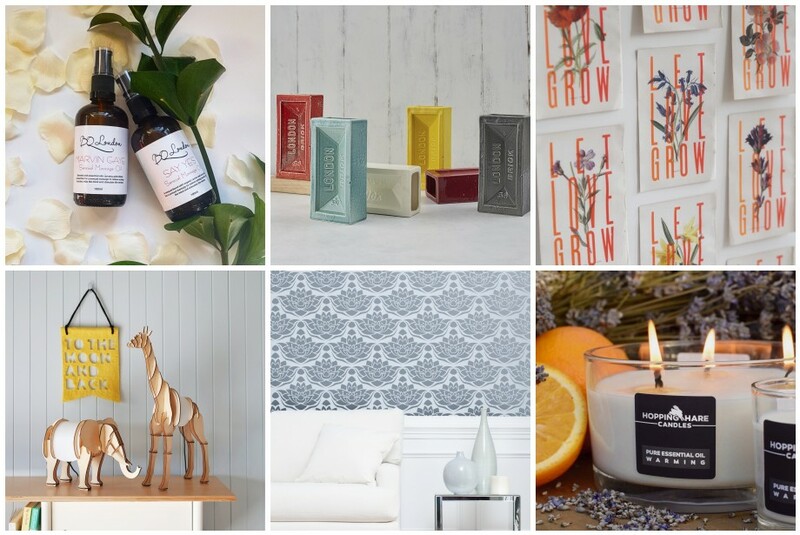 Find all the gifts you need, whilst supporting smaller, local brands. It all makes such a difference to shop this way, and we’re proud to be supporting some of our West London artisans and makers. To give you a little idea of what’s instore, we’ve put together a Christmas gift guide to take some of the pressure off. Does he love a pint or two? A frequent pub dweller? 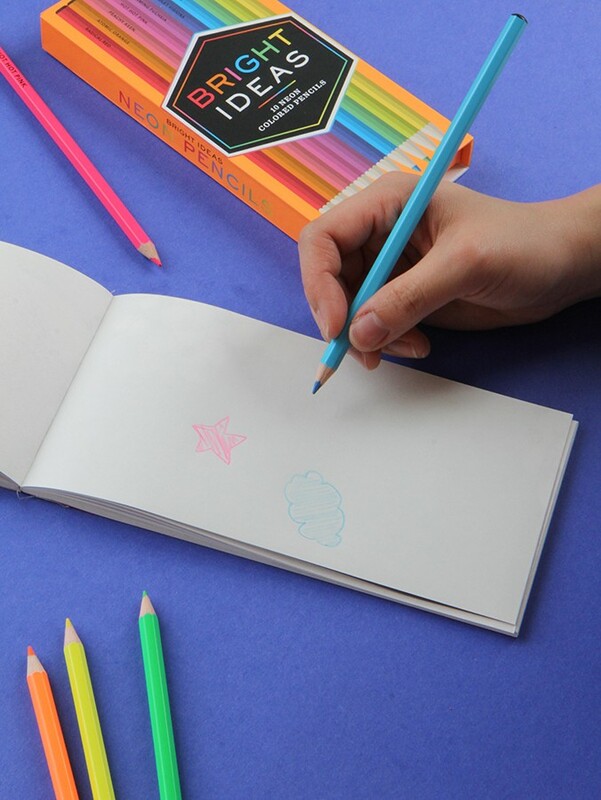 Ealing based illustrator/designer Charlotte Berridge has just the thing. Her unique prints pay homage to West London, her ‘Pubs’ series would make a great feature in his kitchen or living room. Charlotte covers Ealing, Chiswick, Richmond, Kew, Acton, Hanwell and Brentford. Or does he fancy himself to be quite the chef? 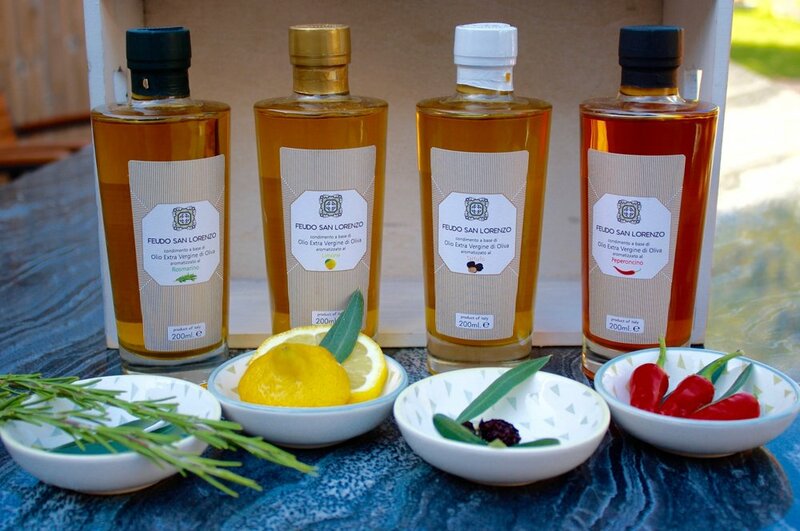 Visit Feudo San Lorenzo for some incredible, high quality olive oils, perfect to jazz up even the simplest of meals. Their chemical free olive trees are grown in the Sicilian countryside, and, once oils, are blended with the finest flavours; chilli, lemon, rosemary and truffle, as well as the original olive oil itself. *Top tip* - Drizzle some rosemary oil on your roast potatoes for a knock out Christmas lunch! Ladies love a little luxury from time to time, and Jennifer Cattlin knows just how to add a little glamour to any evening look. She makes incredible fascinators that are an art piece in their own right. 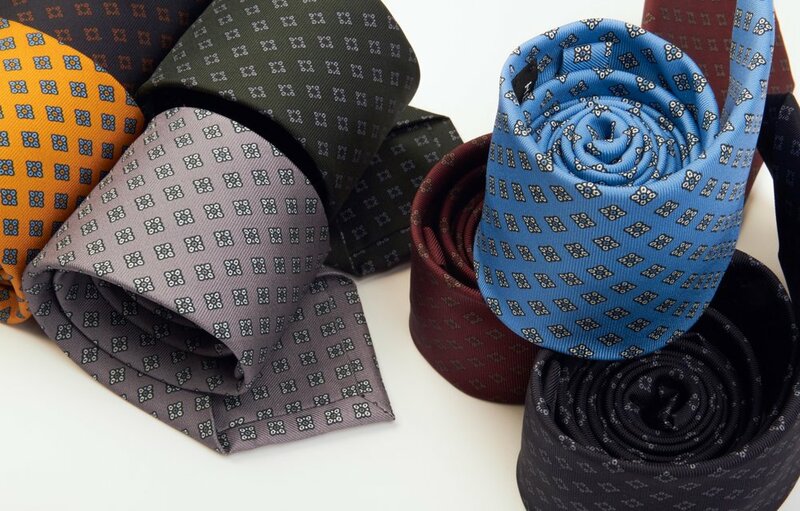 Perfect for Ascot, weddings and so much more. Or if you fancy getting something a little smaller, but no less luxury, pop by Ali & for handmade jewellery. Sterling silver, gemstones and pearls all make an appearance here, so you’re sure to find a gift she’ll love. Or go and see Aimee Hocking, her textiles and photography will brighten up anyone’s home. She’s based in West London and even her cushions are filled with 100% British wool. 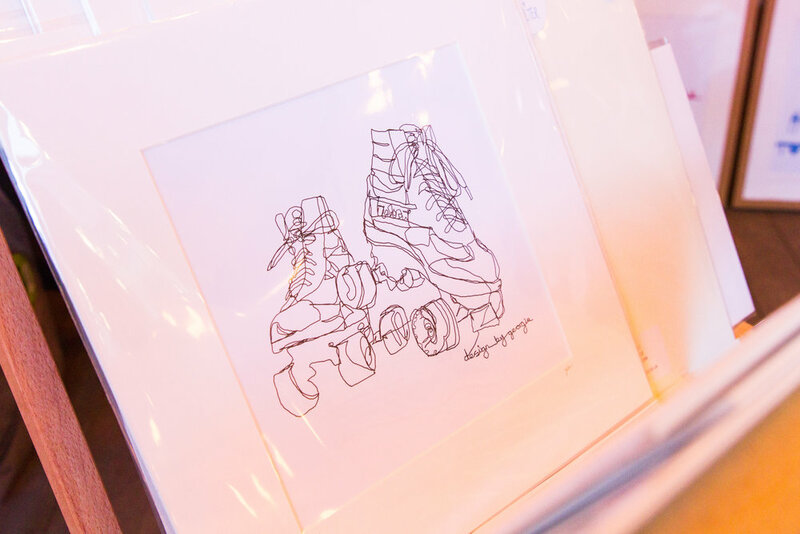 Lastly, the creative collaboration Wassail and Balter will be setting up shop offering some of their incredible art works, illustrations and small gifts. 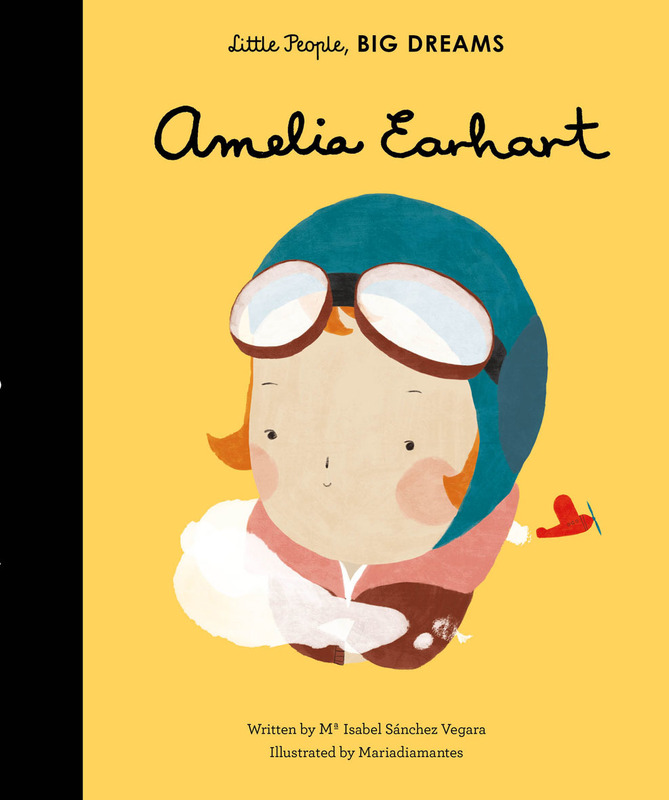 We love the ‘Love and Lust’ series for a romantic and humorous gift. Don’t worry, there’s always something to keep the little ones occupied. Make It Ealing will be hosting a craft area on the day, so you can let them explore their creativity whilst decorating some Christmas cards and festive goodies! If you need any presents for younger girls, Rebeca Buttons will be there with some seriously cute earrings, too. Head down to Elizabeth Square, Dickens Yard this Saturday for a day of festive fun as a spectacular Christmas tree is unveiled and Christmas lights are switched on by the children from Christ the Saviour’s School at 5pm. Ealing Artisan Market, will be celebrating with extended opening hours - 11am to 6pm - and plenty of festive treats, drinks, live music and local crafts to get your Christmas shopping started! Charity will be at the heart of the day with Councillor Kumar holding a silent auction of heritage Ealing street signs to support Ealing Soup Kitchen and Ealing Pastors, Me Time pop up choir performing who offer fun and support for those on maternity leave with young babies and bauble decorating with proceeds going to local charity - The Log Cabin. Looking for something different to do with your evenings? Head to After Dark at Chiswick House & Gardens for dazzling light installations, festive workshops and delicious street food and drinks. 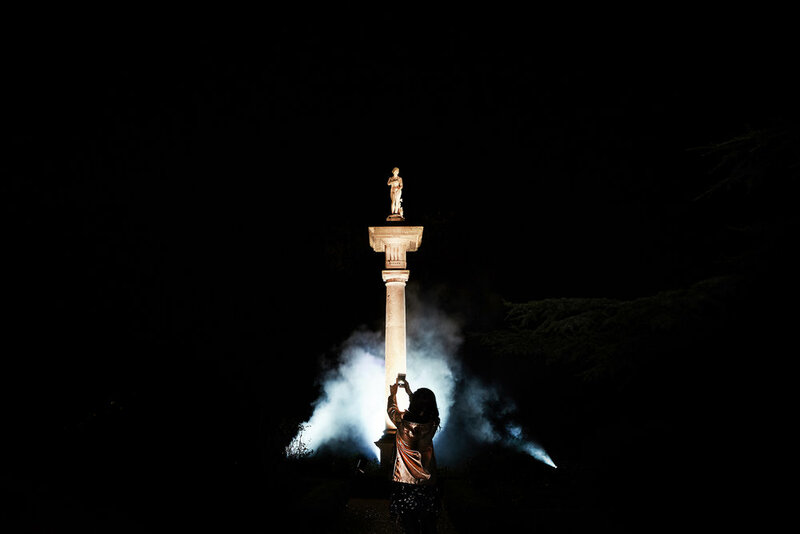 Launching tonight, the stunning 18th Century Chiswick House and Gardens has been transformed into an event like no other. World-renowned lighting designer and illumination artist Nick Gray – who’s designed lighting for Kasabian, Sub Focus and Mulberry just to name a few – has curated a 45-minute trail to bespoke music, flooding contemporary light through the gardens and bringing the historic backdrop of the venue to life. 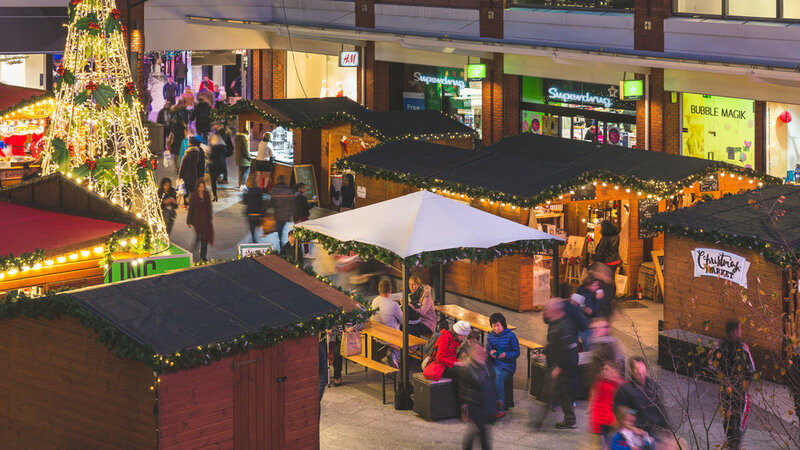 Sip on a hot apple juice or a Bailey’s hot chocolate whilst you look out for art installations from up-and-coming artist Finn Thomson or take part in a screen printing or decorate your own baubles workshop. And if you’re feeling hungry, we’ve got you covered! We’ve selected some of London’s very best street food to make sure there’s a taste to suit all the family. Enjoy steamy, oozing cheese toasties from The Cheese Truck, or grab a taste of Mexico by visiting Taco Dave (because Tacos aren’t just for Tuesdays, right?). Or go and see the team at The Duck Shed, they whip up burgers, wraps and salad boxes – and trust us, they have a vegan ‘duck’ dish that will fool even the meatiest carnivores. Finish off the evening with Love Churros, because, who doesn’t love churros? This is a modern take on festive with no Santa in sight, the perfect setting to experience something new this winter. Tickets are on sale now via eventbrite.co.uk and prices start at just £8.50. There’s also a chance to WIN four tickets over on our Instagram page, click here to enter! 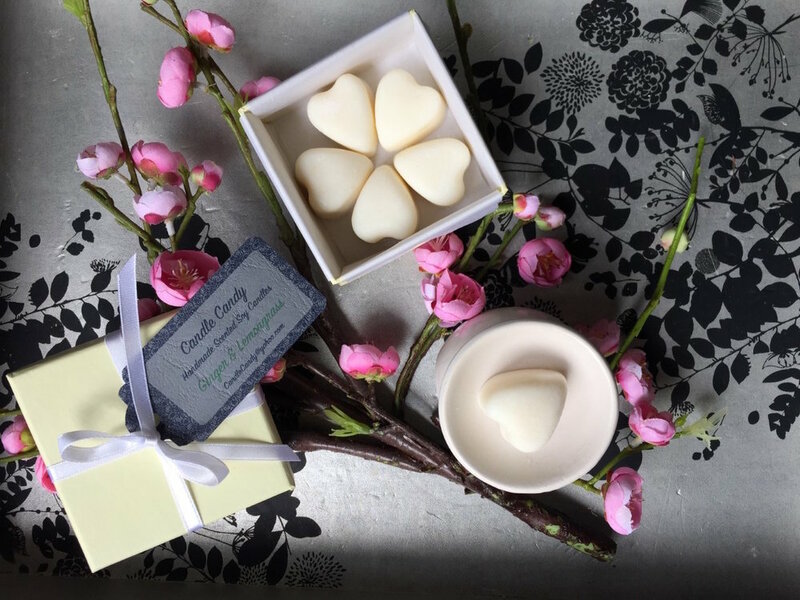 Coinciding with Small Business Business Saturday, we are offering one small business the opportunity to win a free stall at Ealing Artisan Market at Elizabeth Square, Dickens Yard on Saturday 1st December 2018. Supporting local businesses is a core ethos of Eat Me Drink Me and on Saturday 1st December, Ealing Artisan Market will be supporting Small Business Saturday - a national campaign aimed at encouraging people to shop locally and to support their local economy on one of the busiest shopping days of the year, the first Saturday in December. Expect seasonal ingredients, live music and mulled wine to sip while you shop from local makers and designers plus the unique opportunity for one small business to trade for free! Are you a small business? All you have to do is submit your entry form by Friday 23 November. The winner will be selected by our panel of experts and invited to trade at the market on Saturday 1st December 2018 market between 11am and 4pm. Click here to submit your entry form! All hail the veggies, it's World Vegan Month! Whether your vegan, veggie or full on carnivore, there’s no denying that veganism is on the rise. Everywhere you look there’s a new vegan menu, a new vegan burger or a new mock meat on the shelves, so this World Vegan Month, why not try something new? There’s plenty of choice here to keep you satisfied whilst you peruse the stalls full of crafts and makes by local artisans. From mouth-wateringly decadent brownies from Morish Jems making an appearance each Saturday, to feel good bites to keep you energized from Spoons of Taste, bouncing down on Nov 3rd, there’s surely a sweet to tickle your tooth. More of a savoury fan? Visit L’Amuse Bouche for a vegan crepe, fully loaded with cherry tomatoes, mushrooms and fresh basil, available on Nov 17th. Or see the guys at Azafran to try their Mexican street food take on the cuisine - they’ll be there Nov 3rd and 10th. 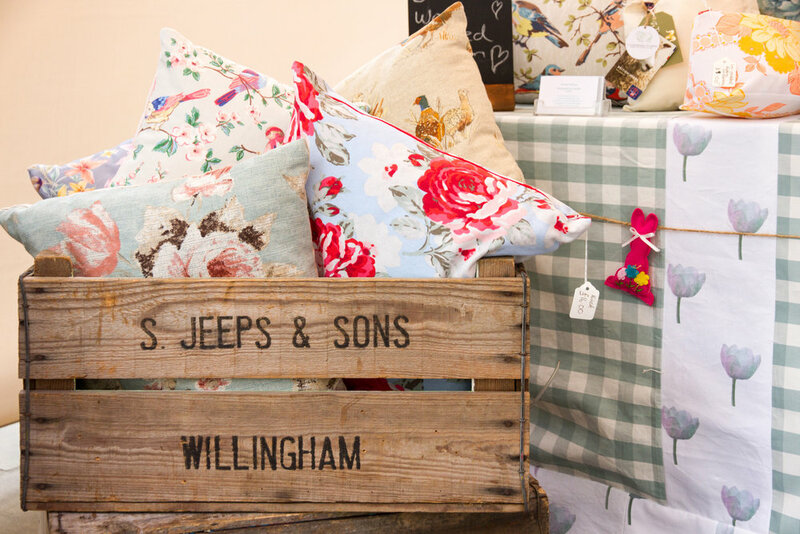 Are you heading to the grand Country House in Hertfordshire next weekend? 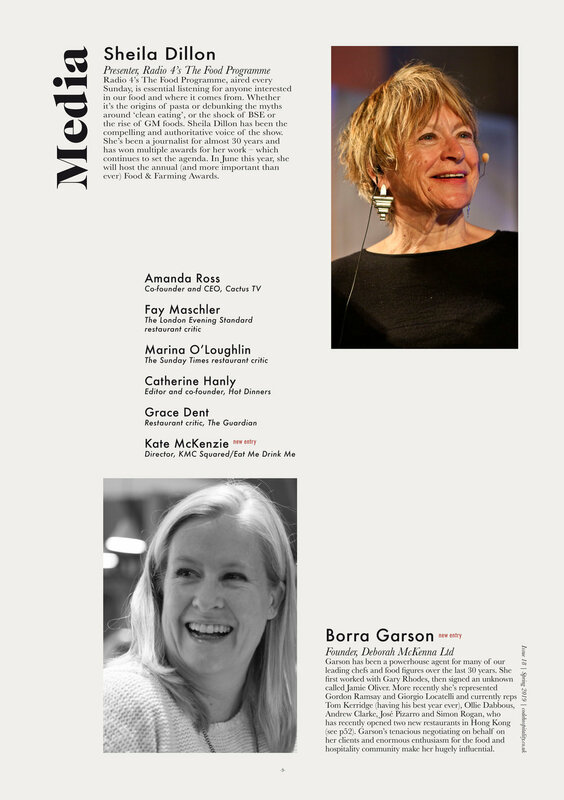 (Grab your tickets here if you haven’t already!) Then look out for Pieminster’s deep dish goodness, full to the brim of steaming mushrooms and tomatoes in red wine, with onions and thyme to keep you warm whilst you enjoy the festivities. Then go see the guys at Pulled, they’ll have even the meatiest of eaters fooled with their Pulled jackfruit bun! Vegan doesn’t just mean food. Got a vegan friend to buy a gift for? 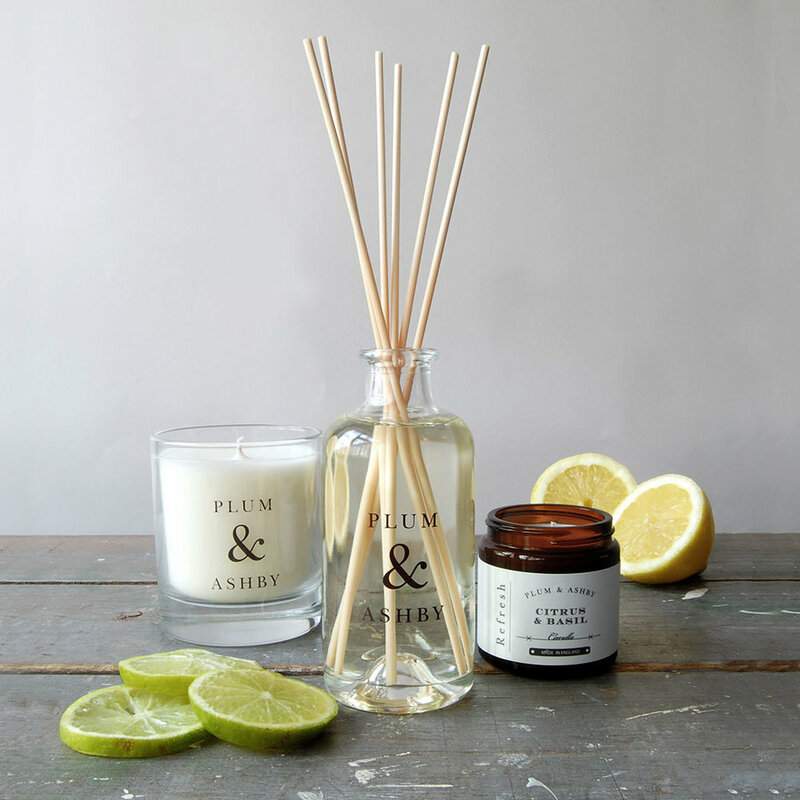 Stop by Candle Candy for their 100% cruelty free soy wax candles, or Oil & Vinegar for their range of olive oils and Mediterranean flavours. South East Londoners rejoice, you can get your stock of seasonal fruit and veg straight from the growers, to you, via Marsh Farm. Rocking the market each week, look out for their homemade jams and chutneys, too! If you’re lucky, you’ll spot the swanky tricycle bar, Off the Wagon - they serve up a vegan beer that’ll ease the chill as winter draws in, or Natural Born Wine’s range of delicious wines. That’s pretty much your next month’s eats and treats sorted then. Cheers to that! 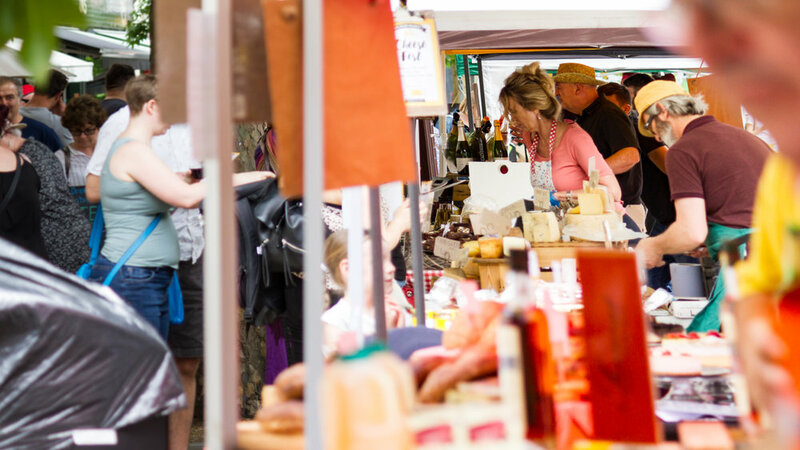 This October welcomes the return of Ealing Artisan Market, Ealing’s weekly, Saturday market featuring artisan food producers, designers, makers and street food traders from west London and beyond. 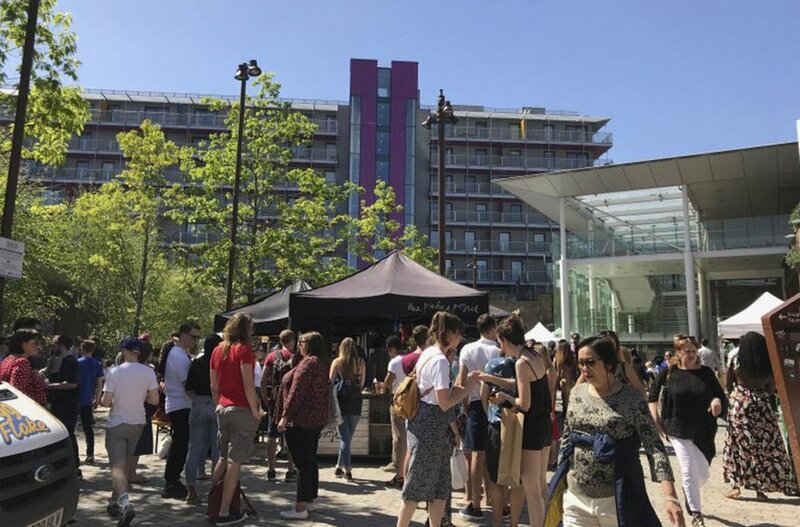 Launching on Saturday 6th October at Elizabeth Square, Dickens Yard with local favourites Handmade in Ealing and Charlotte Berridge, regulars on the street food scene Thelo and Muffin Man plus all your fresh produce and speciality food needs covered! Putting the community at the heart of the market, a charity stall will be made available each week to local organisations. Sustainability will also play a key part of the market with all traders using sustainable materials and packaging. 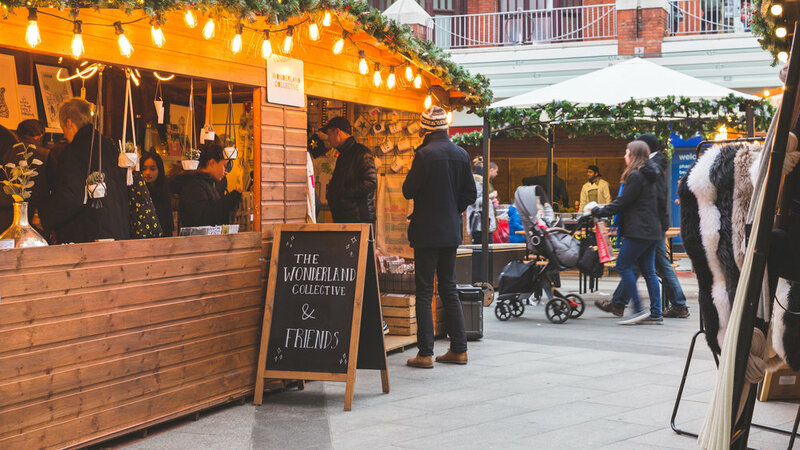 Ealing Artisan Market will also play host to a Small Business Saturday Market on 1st December; showcasing seasonal ingredients, carols singers and mulled wine to sip while you shop and get you in the festive spirit. 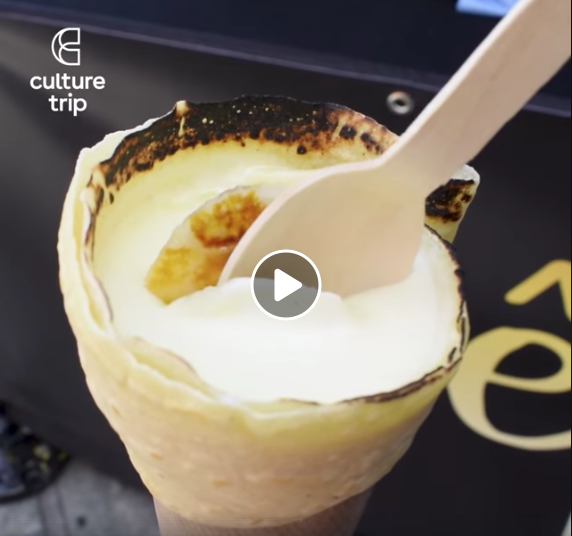 Deptford Bites regular Crêpe Kings' Crème Brûlée has been featured on culture trip's Facebook page. A handy vegan guide to Deptford including some of our favourites; The Fava Project, Morish JEMs, Vegan Garden London via Below the River! Data - Everyone’s talking about it…. On the 25th May the new EU General Data Protection Regulation (GDPR) comes into force, with new rules and guidelines about how we can collect, use and store any data you might give to us. Unsubscribe: By clicking on the unsubscribe link at the bottom of emails that you have subscribed to that we send you. If you haven’t already signed up to be kept up to date with our latest exciting news and events, please take a moment to subscribe to our newsletter packed full of foodie and craft goodness! Sign up now!